Merveille & Crosson return to Visionquest this month with their second long player, entitled ‘Cerulean’ and featuring nine original compositions from the duo. 2012 saw the release of Cesar Merveille & Ryan Crosson’s inaugural long player ‘DRM’, seeing the pair veer their output into abstract realms and embrace a more eclectic left on centre production style. Here five years later the pair return with their second album ‘Cerulean’, again tipping the focus over to a modern classical, jazz, ambient and abstract aesthetic, featuring collaborations with Juliard trained classical pianist Julien Quentin, No Regular Play’s Greg Paulus on trumpet, Wareika’s Henrik Raabe on guitar, Yonathan Levi on double bass, Moritz Baumgartner adding additional drum work and Berlin’s Signum Saxophone Quartet. 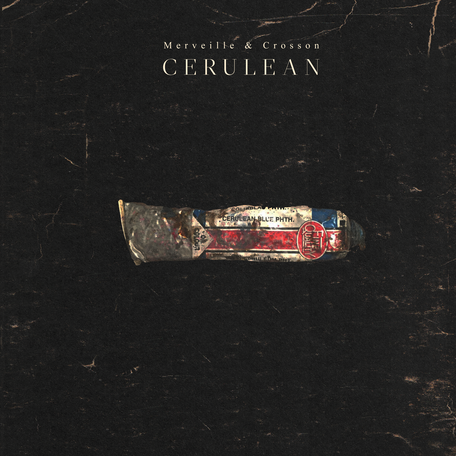 Across the ‘Cerulean’ project Merveille, Crosson and all involved offer up an amalgamation of sounds and styles from the freeform jazz odyssey styles of ‘Even Tides’ and ‘Nordic Bummers’ to the ethereal ambience of ‘Intro (Almost Raw)’ and ‘MCYH’ whilst subtly nodding towards their minimal roots with ‘Acid Pal’ and ‘Qaudra’. The pair also display their love for the New Age modular synth style with ‘ARP’ and ‘Life In The 80’s’ with programmed melodies throughout.